Considered by some to be the mainstay of European Christianity, Poland is without a doubt one of the continent’s most religious countries. While the official statistics setting the percentage of Catholics at an almost-unparalleled 95% are based on baptisms only and thus inflated in relation to the number of practising Christians (which is falling), a Sunday stroll past any church will find it absolutely packed and quickly dispel any notion that religion might be on its way out locally. With the origins of the Polish state firmly tied to the Church - the birth of Poland equates with the baptism of Mieszko I in 966 - Christianity has officially functioned as part of the Polish identity for well over 1000 years. Perhaps most significantly, it served as a major unifying power and avenue for subtle resistance during communism, when state-sanctioned atheism was the official way of the land. Poland’s pride and glory is still the beloved Pope John Paul II, who helped to bring about the Solidarity movement and the eventual toppling of the communist regime. While voices criticising the unprogressive and restrictive nature of the Church and the mixing of religion and politics in Poland continue to get louder, particularly among the youth, the number of young Poles still very much attached to tradition and religious ritual might surprise visitors from the West. July 2016's World Youth Day mega-bash drew tens of thousands of pilgrims from around the country - plus hundreds of thousands more from around the world - eager to worship, pray, and celebrate their faith in an international community of their peers. Culminating in a mass lead by Pope Francis, it was one of the largest events that the city of Kraków has ever seen, rivalled only by Pope John Paul II’s visit in 2002. As the hometown of John Paul II - who founded World Youth Day by inviting Catholic youth to the Vatican in 1984 and 1985 - the late-July celebrations will in large part focus on his teachings and personal legacy in Kraków, where he rose from humble beginnings as Karol Wojtyła - a boy from nearby Wadowice - to become the first non-Italian pontiff in over 400 years. 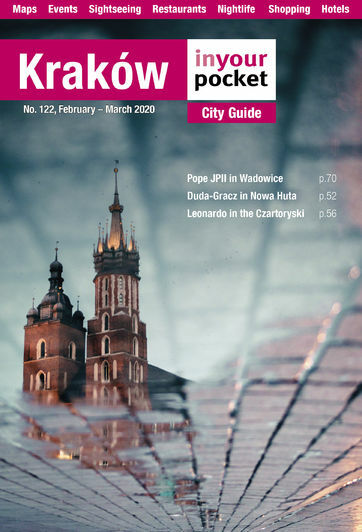 Canonised in 2014, the presence of the late Pope still looms large locally, and there are literally dozens of pilgrimage sites directly related to his life all over Kraków and the surrounding region - read more in our feature on Pope tourism, and on our blog. JPII, however, is only the most recent in a long line of Kraków saints who continue to contribute to the rich spiritual fabric of the city. Known as the ‘City of Saints,’ read more about the most remarkable of these religious icons on our blog. Kraków is home to over 350 Roman Catholic churches, many of which you’ll find information on throughout our guide, but for pilgrims the obvious starting points have to be St. Mary’s Basilica on the market square, and Wawel Cathedral - the spiritual heart of the nation. Beyond these, below we’ve identified what we consider to be the most essential Catholic pilgrimage sites in Kraków and southern Poland.